The OMR mark sheet is usually used when the examination consists of objective type questions that provide options for answers. The candidate or student has to darken the bubbles, after which the sheet is scanned and the answers are evaluated. It is considered to be the easiest and fastest method of evaluating answer sheets, and hence OMR sheets are commonly used for competitive exams, government recruitment exams, etc. However, a thing that many do not know is that OMR sheets can be used for subjective type exams also. Subjective type answer sheets require manual checking as correct answers can be specified to the OMR software. So while the test paper or answer sheet is checked manually, an OMR sheet is provided to the examiner where he/she can enter the marks. Let us learn more about this type of answer sheet. How OMR Mark Sheet Works? 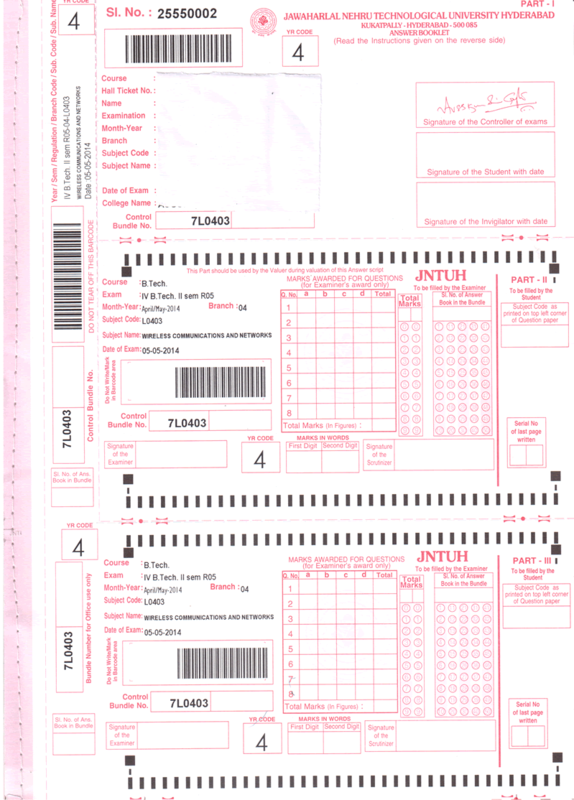 The OMR mark sheet for subjective answers consists of three parts. The three parts are linked with a common barcode. The first part consists of the page that asks for candidate information including name, roll number, telephone number, course details, subject, etc. The second part of the sheet provides space for the examiner to enter marks as per the OMR format. The third part of the sheet is the physical copy of the answer sheet which is kept attached to the second part. The first part is detached from the rest before the paper goes for checking or evaluation. This sheet is then scanned to know the details of the candidate as well as the barcode of that particular sheet. The rest of the paper goes to the examiner who checks the answers written and provides marks on the OMR sheet provided. Once this process is done, the first and second parts are linked together with the help of the barcode. 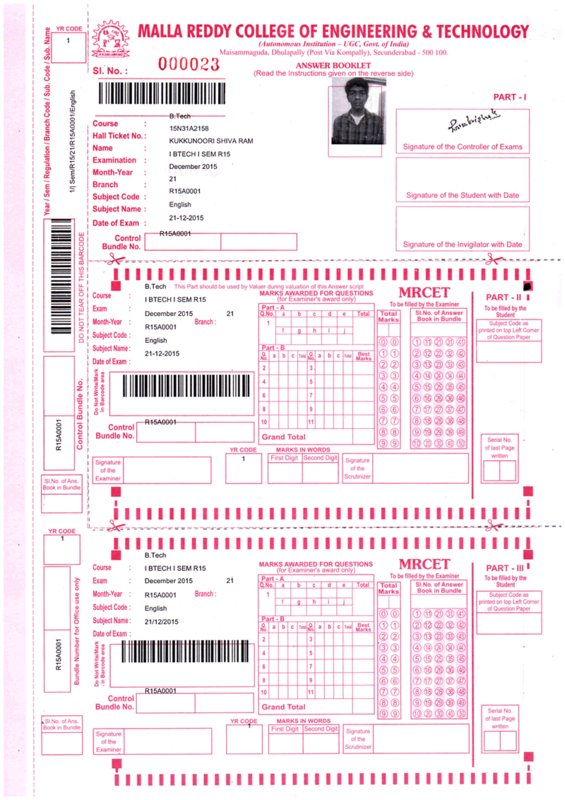 One of the uses of the OMR mark sheets is to prevent any kind of mistake in recording the marks allocated to a particular candidate. It is 100% absolute accurate as there is no scope of mistake in recognizing handwritten marks by a person. Also, cross checking the marks also becomes easy. Apart from these factors, this mark sheet prevents the examiner from being partial towards a particular candidate. As the examiner does not receive the sheet with the candidate's details, it would be impossible for the person to know whose paper he/she is checking, as reading barcodes manually is not possible. So, this is a great tool to maintain secrecy during the examination process. The OMR mark sheet has several uses or advantages. It will definitely help to make the checking and evaluation process more efficient and transparent.